For safety critical embedded systems the correctness of the processor, toolchain and compiler is an important issue. Translation validation is one approach for compiler verification. 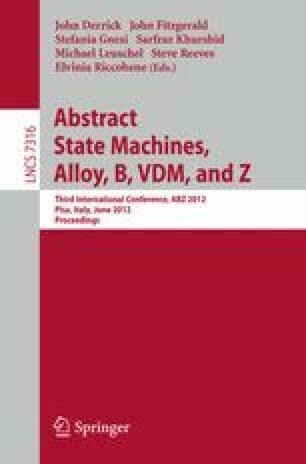 A common semantic framework to represent source and target language is needed and Abstract State Machines (ASMs) are a well suited and established method. In this paper we present a method to show correctness of instruction selection by performing fully automated simulation proofs over symbolic execution traces of state transformations using an automated first-order theorem prover. We applied this approach to an industrial-strength compiler and created the ASM models in such a way that we are able to reuse them to create a cycle-accurate simulator. To achieve fast simulation we compile the ASM models to C++ and present the compilation scheme in this paper. Finally we present our preliminary results which indicate that a unified ASM model is sufficient for proving correct instruction selection and generating efficient cycle-accurate simulators.